Grace loves to act out stories, and now the school parade brings her a chance to be a princess! But what do princesses do, apart from wear beautiful clothes and look pretty? Does she have to be all pink and floaty, with a crown? Grace and her friends start finding out about princesses in China, Egypt, the Philippines and Zimbabwe – and on the day of the parade, helped by Ma and Nana, Grace’s school has the finest float of all. As for Grace – she’s a sensation! 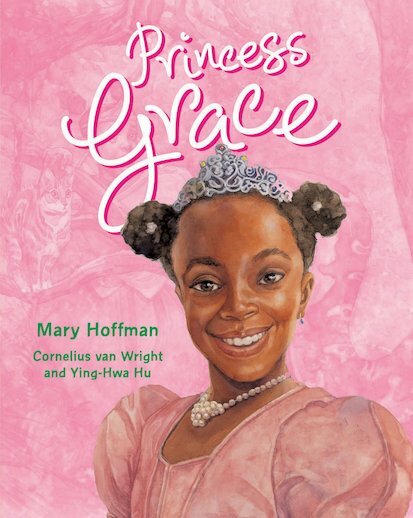 I love this book – I love that Grace is black, so that we can see a completely different outlook, as many books are oriented towards white people, but these stories give a whole new outlook. I really like this book. It’s a picture book, so it’s for people younger than me, but it always makes me feel a bit like crying because the ending is so happy. It just goes to show that it is really wrong to say people can’t do things because they are black or a girl or something like that.